Spring is well underway and we’ve all been hoping for warmer weather as the season advances. However, even while temperatures are on the rise outdoors, don’t forget about your stove. Whether you have a wood burning, pellet burning or multi fuel stove, it’s important not to leave your stove completely dormant for long periods of time, even during the summer. April showers might seem like a small price to pay for brighter days, but rainwater can cause more of a splash than you realise. When rain falls, some water is likely to get into your stove system through your flue. The amount of rain that your flue and stove will become exposed to does vary, of course, depending on a number of factors. However, during the winter when your stove is in regular use, any excess moisture is safely burned away by the stove’s heat. When moisture gathers in the stove system and doesn’t evaporate, over time this can lead to rusting and corrosion. Rain water entering inside the stove can corrode th5e internal components such as the flue outlet connector, baffle plate and fire grill, as well as doing damage to the body of the stove itself. It might seem strange to light your stove when you don’t strictly need to, but remembering to warm the chimney every now and then can really help to protect your stove system from unnecessary damage. So, keep an eye on the number of spring showers this year and make a note to fire up the stove on the next chilly evening or dreary day, even just for a short time. Your stove and chimney will thank you! Now that the pancakes have been flipped, you might have decided to give up chocolate, cakes or other sweet treats for Lent. However, if you’ve just shivered your way through another uncomfortable winter, it could be better to give up being cold in your home! Spring is in the air but there could still be chilly nights to come, so this is a great time to consider installing a wood burning, pellet burning or multi fuel stove. More energy-efficient than an open fire, stoves can pump out a surprising amount of heat. Stoves also look fabulous and much more attractive than radiators, whether you choose a traditional style or a more contemporary design. If you think that you must have a standard central heating system as well as a stove, think again. It’s possible to heat your entire house and run your hot water system from one stove if you wish. But a stove is also a great way to provide on-demand, atmospheric warmth for just one room. This can make a big difference to your energy bills when you just need to heat a small area of the house on a cool spring or summer evening. For those who think the layout or style of their home wouldn’t be suitable for a wood burning stove, you’d be surprised at just how versatile stoves can be. If you don’t have a big fireplace to accommodate a large stove, take a look at our smaller, more compact but highly efficient models that can fit well into even a small space. They still pack a big heat punch without taking over the room. We can find a solution for you even if you don’t currently have a chimney. So, if you want to make the change to a better, more beautiful heating system, give up on your old habits and get in touch with us today. Have you ever considered buying a wood burning stove but had some reservations? 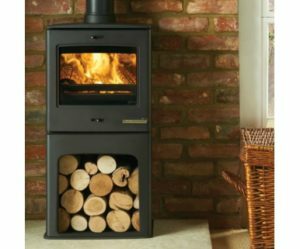 Obviously, we’re big fans of wood burners– along with their pellet burning and multi fuel stove alternatives – so we’re keen to explode some common myths and misconceptions that can prevent people from enjoying what stoves have to offer. ‘Wood burners are expensive to run.’ The cost-effectiveness of your fuel depends on a number of variables, but by taking the right approach, stoves can provide terrific value for money. Ask about suppliers in your local area and you’ll probably find that you can buy large amounts of wood for much less than you think. Choose well-seasoned wood of the correct type and you can get a great amount of energy from it, as much as 90%. ‘Stoves don’t have the strength to heat an entire room.’ Our range of stoves includes designs of all sizes, shapes, designs and outputs, so whatever the size of your space, we’ve probably got a stove to heat it. You can even run your central heating and hot water systems from a stove. ‘Owning a wood burning stove is too much hard work.’ Some people enjoy finding, cutting and storing their own wood, but you certainly don’t have to do that. Simply buy in a season’s supply and forget about it! ‘Wood burners are bad for the environment.’ Again, making the right choices negates this statement. Wood burning stoves will only emit the same amount of carbon that the tree has absorbed during its lifetime. So, use fully seasoned logs with 25% to 30% moisture content to achieve the cleanest possible burn. ‘I can fit my stove myself.’ Not true. Unless you’re a qualified, trained professional – like us – it’s very dangerous to attempt this specialised job. ‘I can’t have a stove because I don’t have a chimney.’ Wrong – ask us today about installing a chimney system or flue! 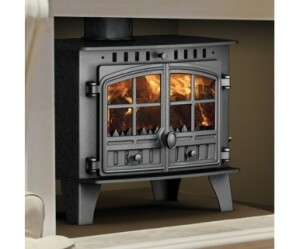 Here at Stove-Sellers, we believe that nothing beats the warmth, smell and sound of a wood burning stove. Whether you choose wood or a pellet burning or multi fuel alternative, a stove can really add character to your home. Many people purchase stoves because they want to achieve a traditional, even rustic feel. But did you know that our range includes many contemporary designs that look great in even the most modern, minimalist settings? Perhaps you long for clean, smooth lines in your house or apartment, or aim to seamlessly blend old French architecture with a 21st century aesthetic. Whatever your interior design ambitions may be, don’t rule out the idea of a wood burning stove or similar – these energy-efficient, low-carbon options can really add the wow factor to any room. No fireplace in your modern property? Not a problem! There are many stoves available that can be installed virtually anywhere, thanks to the availability of new lightweight, insulated flues. Our range of contemporary, eco-efficient appliances can bring the warmth and charm of a stove to your room without compromising on design. For example, the innovative stoves by Invicta are designed to take up minimal space while achieving maximum impact. 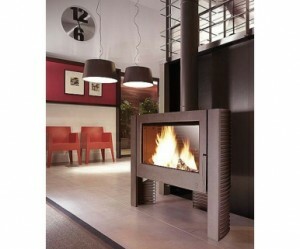 Available in a variety of eye-catching shapes, these stoves can provide a really striking focal point. Stovax’s metallic paint finishes make their contemporary stoves really popular with anyone who enjoys a sleek, modern look. For an unusual flash of colour, the Carillion 16 9 comes in a stunning black and Bordeaux design that adds a bit of extra heat to any room. The Yeoman CL range could provide the solution if you’re looking for a neat, unobtrusive stove that will suit any backdrop. Not sure if a wood burning stove is right for your home? Contact us to find out more – you could be surprised by what you find. Comments Off on Contemporary style with a wood burning stove? Absolutely! February is the month of love, with Valentine’s Day having prompted many people to show some TLC to the special people in their lives. But if you care about the environment, investing in a wood burning stove is a loving, low-carbon gesture that can benefit your bank balance too. Fossil fuels are not only environmentally unfriendly, they’re also unsustainable for the planet in the long term. By running your room heater, hot water system or even your home’s entire heating solution from a wood burning stove, you can help to cut back on the use of fossil fuels and support renewal energy instead. You can save money by collecting and drying your own wood or support the local economy by buying wood from farmers in your area. There’s an additional financial benefit to installing a wood burning, pellet burning or multi fuel stove in your home, if you live in France. The credit d’impôt is a tax credit that allows households to deduct from their income tax expenditure for retrofits to improve energy performance. If you meet the conditions and can improve energy performance in a principal residence with a rate of 30%, you can claim for expenses of up to €8,000 for a single person or €16,000 for a couple. However, be aware that you can’t just buy a stove and then select any trades person to install it – the work has to be carried out by the company supplying the materials and that company must be RGE qualified. 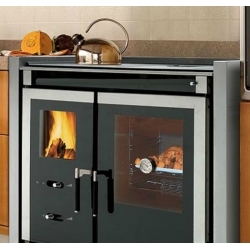 At Stove-Sellers, not only are we qualified to install your stove, we also offer a wide range of appliances that offer efficiency ratings of at least 70% and above. Talk to our experts today and find out how you can show your home some love this February.